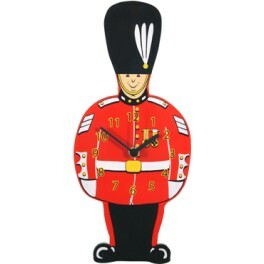 Painted wooden soldier clock. What a fun boys gift idea they make. The clocks are all made from 6mm material and come supplied with a clock movement that requires a AA battery (not included). 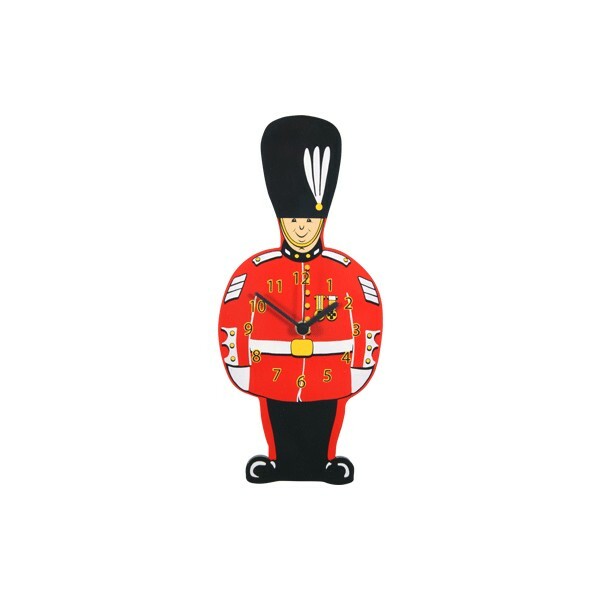 See matching height chart, money box for themed bedrooms.